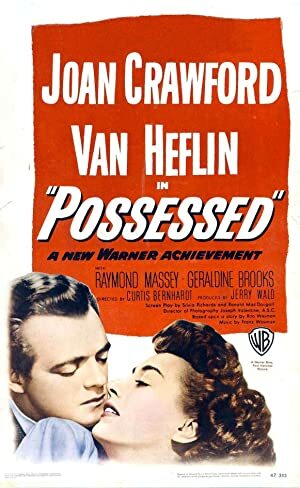 In this episode, we discuss the 1947 Joan Crawford psychodrama, Possessed! (This is in contrast to the 1931 Joan Crawford film named Possessed, which is very different.) 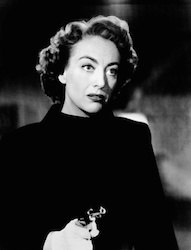 The film also features the talents of Raymond Massey and Van Heflin, but really, it’s all Joan Crawford’s show. We highly recommend you watch the film before listening to the episode, because it’s great and we discuss many details about the plot. The film can be currently be found for rental on Google Play and Vudu, and an inexpensive DVD copy can be found on Amazon. Our next episode will be another great Joan Crawford noir: Mildred Pierce! Look for it on August 7th! Plot: After being found wandering the streets of Los Angeles, a severely catatonic woman tells a doctor the complex story of how she wound up there.